You heard me right, I’m getting more anxious every single movie that I downloaded and can’t wait to finally lay my eyes on it. So, as the Movie Marathon continues, we watched 3 movies in one night. This makes me more addicted to download more movies or shall I say borrow it, then returned it later. 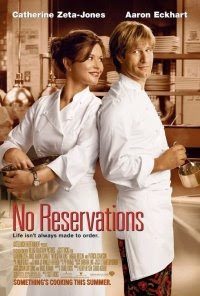 NO RESERVATION: A master chef, Kate, lives her life like she runs the kitchen at upscale 22 Bleecker Restaurant in Manhattan--with a no-nonsense intensity that both captivates and intimidates everyone around her. With breathtaking precision, she powers through each hectic shift, coordinating hundreds of meals, preparing delicate sauces, seasoning and simmering each dish to absolute perfection. Written by AhmadMob. 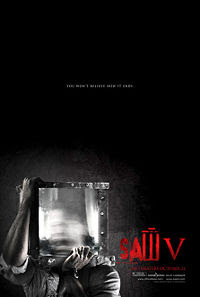 SAW V: Following Jigsaw's grisly demise, Mark Hoffman, the final apprentice to the serial killer is deigned a hero. Meanwhile, Agent Strahm is tested and puts the pieces together. While Strahm realizes that Hoffman is helping Jigsaw, five seemingly unconnected people face a horrible lesson about teamwork. Strahm follows all the leads he can get off Hoffman, including the death of his sister and why he joined Jigsaw. Hoffman and Strahm circle each other until it boils down to a gruesome and bone-crushing finale. 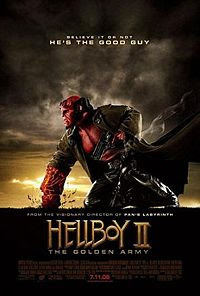 HELLBOY 2: The Golden Army is the continuation to the adventure of the demon superhero, an evil elf breaks an ancient pact between humans and creatures, as he declares war against humanity. He is on a mission to release The Golden Army, a deadly group of fighting machines that can destroy the human race. As Hell on Earth is ready to erupt, Hellboy and his crew set out to defeat the evil prince before The Golden Army can destroy humanity's existence. Written by ctfabian. Novs, thanks, hihih, did not know there is a candy called "worm", now, i'll look for that, hihihi. don't like scary movies so pass ko anang Saw and Hellboy. di ko kaya ang powers mo Nova! 1 movie istoo much for me already... grabeh ka! 3 movies in one night? Geee, kakainggit ka naman. I have to ask you this again Nova, is it free? im a movie addict too sis, hindi ka nagiisa. btw, thanks for the tag will do it later as alternator after my paid posts. so, we both sing huh? that explains why u need that magic sing?btw have u recorded ur song already in u tube? coz i recalled having read ur post one time that u were singing about beauty and the beast or im not sure. maybe it was a song was entiled someones waiting to love you.